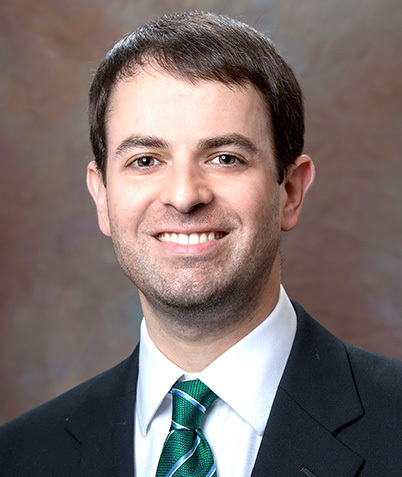 Paul's interest in financial planning and investment management began in 2005 when he took a financial planning overview course at Augusta State University. He spent two years immersed in financial planning coursework and excelled in the program. Paul earned his BBA in finance in 2007. His education very specifically prepared him for the work that he does today. And, an education in financial planning also differentiates Paul from others in the industry as it is not a requirement of registering and offering advice. He met the CFP® Education Requirement while at Augusta State. And, he began with The Monitor Group, Inc. mid-2007 following his graduation. He was (and is) thrilled to work with a fee-only firm. The concept was most attractive to him while in school. He feels so fortunate to be with The Monitor Group, Inc. and work with clients of the firm. From the beginning he worked alongside Jennifer Noah, attending and participating in client meetings and learning the practice of financial planning and investment management. He had learned the theory, but began learning the practice and application as soon as he began with the firm. He met all requirements for CFP® Designation in 2011 and subsequently registered as an advisor. He has held various titles at The Monitor Group, Inc. – most recently Vice President and Partner as of 2013 and President and Owner as of 2017. He has worked with clients of the firm for many years, partnering with people from various backgrounds and financial situations – young to old and “just starting out” to well-established. He does not work exclusively with high net worth clients, though a certain portion of clients are certainly considered high net worth. Paul and the firm are prepared to work with various financial situations and welcome your inquiry to see if we might be a fit. Paul is dedicated to the firm, its clients and their success. He also loves the Augusta, Georgia area and has lived in the CSRA his entire life. He was born and raised in Appling, Georgia and now lives in Augusta. He maintains professional memberships with NAPFA, the Financial Planning Association (FPA) and with the Augusta Estate Planning Council. Outside the office Paul spends most of his time with his wife and their four children. He enjoys the outdoors and stays involved with the children’s activities and education. He and his family maintain membership and involvement at First Baptist Church of Augusta. Copyright © 2019 The Monitor Group. All rights reserved.